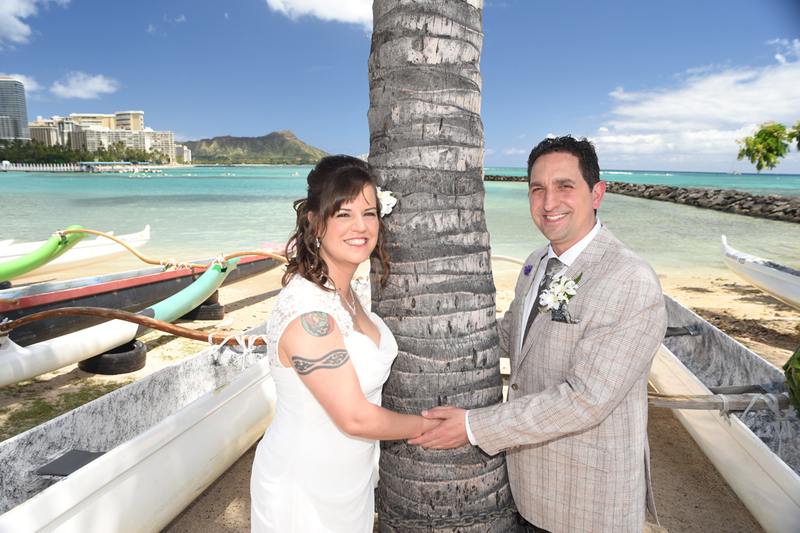 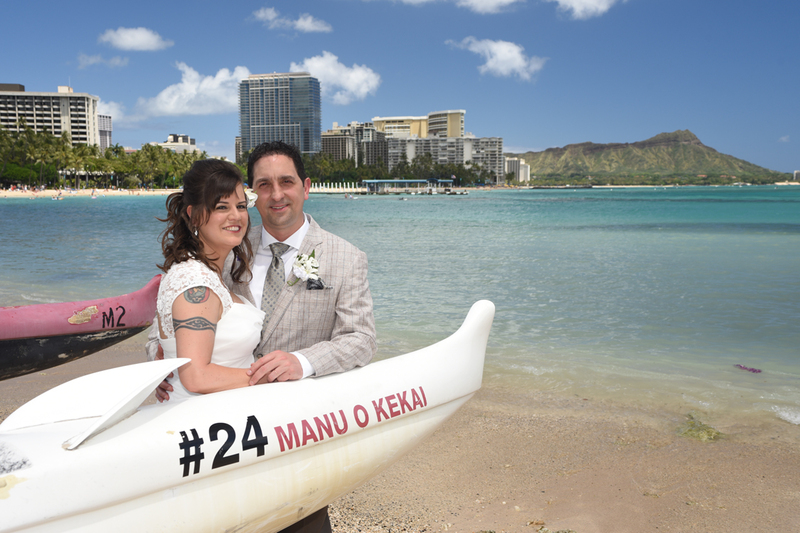 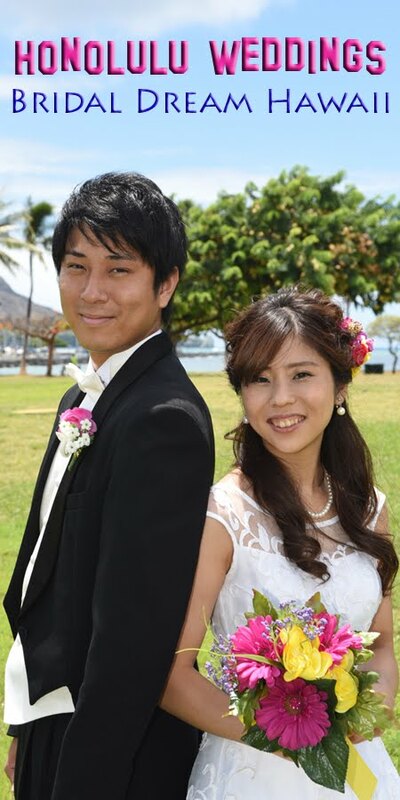 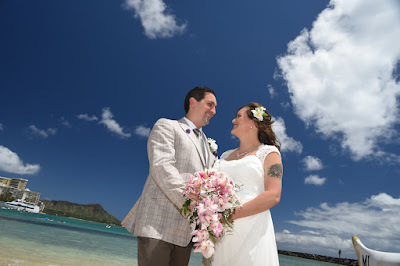 Stephen and Debbi's wedding at Waikiki Beach with Rev. 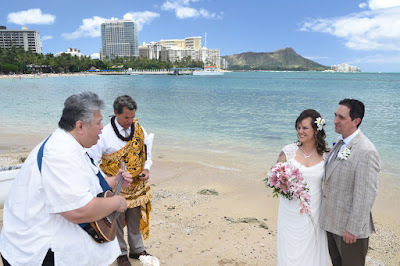 Kimo and Hawaiian Musician Bernard Kalua. 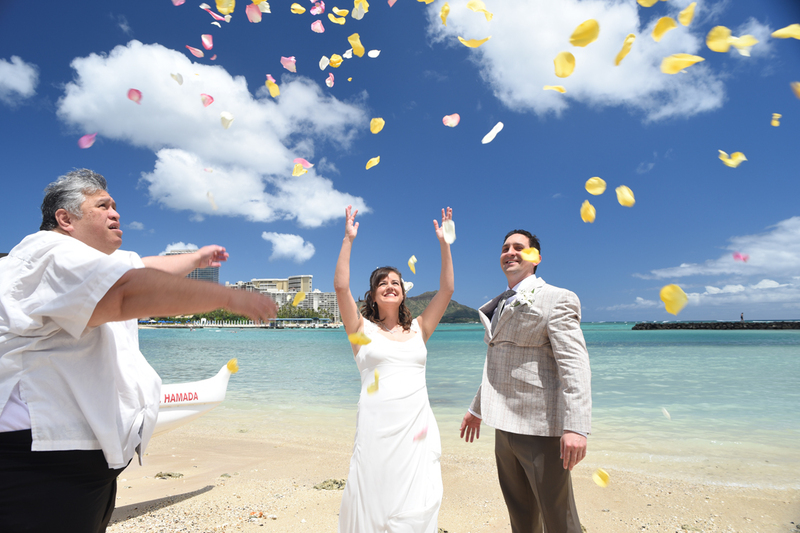 Thank you Bernard for helping us throw rose petals for the flower shower.